Rigger Tank is a ribbed GASP tank for dedicated athletes. It features a wide shoulder, squared neck design and have a robust feel and look to it. The design is simple and rough with a traditional GASP logo on the upper part of the back. It has a tight fit that has been cut for athletic physiques. 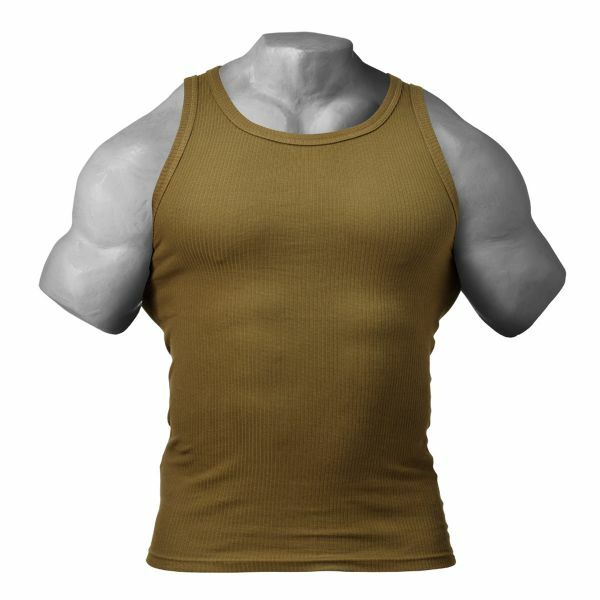 Weiterführende Links zu "Gasp - Rigger Tank Top, military olive"
Kundenbewertungen für "Gasp - Rigger Tank Top, military olive"